The United Kingdom always had a relaxed approach towards most forms of gambling, that was right up until the end of 2014. The gaming industry in the UK was initially modernised in 2005 when the Gambling Act was introduced and the government also formed the UK Gambling Commission. This is a regulatory body which has the authority to issue online gaming licenses to prospective operators and it monitors & regulates the online gambling industry in the UK. Towards the beginning of 2006, the UK Gambling Commission received its first wave of applications for such licenses and then just over 12 months later, the first UK Gambling Commission licenses were issued to a number of operators, but only after strict vetting procedures were carried out. The 2005 Gambling Act also meant that ‘white listed’ licensing jurisdictions from outside the UK could also have access to the UK market. This all changed in December 2014 when new legislation was passed. All operators in the UK must now be UK licensed. In other words, they must obtain a license from the UK Gambling Commission if they wish to continue offering their services to the UK market. This new legislation also meant that operators who do comply would have to suffer a steep point of consumption tax and must pay a total of 15% tax on annual profits. Most operators from white listed jurisdictions such as Gibraltar, Antigua & Barbuda, Alderney and The Isle of Man have become accustomed to paying as little as 1% in tax. In the weeks before the new legislation effectively came in, several operators simply pulled out of the UK market altogether to avoid having to pay such huge taxes. It also meant that UK players could ONLY now register with an online casino (or other similar gambling portal) which is fully licensed by the UK Gambling Commission. UK players can therefore no longer gamble at offshore gaming sites which are NOT licensed in the UK. Many online gambling operators did choose to become compliant with the new legislation and this is why you will now find many online casinos may also be licensed in other jurisdictions, as well as being licensed by the UK Gambling Commission. For example, some of UK online casinos today which have obtained a license from the Commission are also licensed in Gibraltar, Alderney, Malta, or in The Isle of Man, or in one of several other major jurisdictions. Today’s best UK online casinos are powered by some of the world’s leading online casino software providers. This gives UK players access to a diverse range of games, plus they can usually take advantage of 24 hour toll-free support. UK pound sterling is accepted at each of today’s UK regulated sites and our online casino review section contains a small selection of perfectly secure online casinos which do currently welcome players from the UK. These sites happen to be controlled by some of the most trusted names in the online and offline gambling industry. UK Gambling Commission - The official website of the UK Gambling Commission. 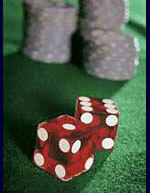 Here you'll find a plethora of useful information regarding both land based and online gambling in the UK. Best UK Casinos - Reviews and ratings of UK licensed online gambling websites that provide fair and honest gambling and are all licensed and regulated by the UK Gambling Commission. Gamblers Anonymous UK - Help for those who reside in the UK and have gambling problems or think they may be developing gambling problems. Also provides a decent amount of literature on how to help prevent the developing of a gambling problem. GamCare - UK organization for prevention and treatment of gambling problems. Offers toll free numbers, chat and a very active forum and message board community. GambleAware - Provides a national gambling helpline with free-phone access and netline for online chat purposes to those who have a gambling problem and are looking to seek help.